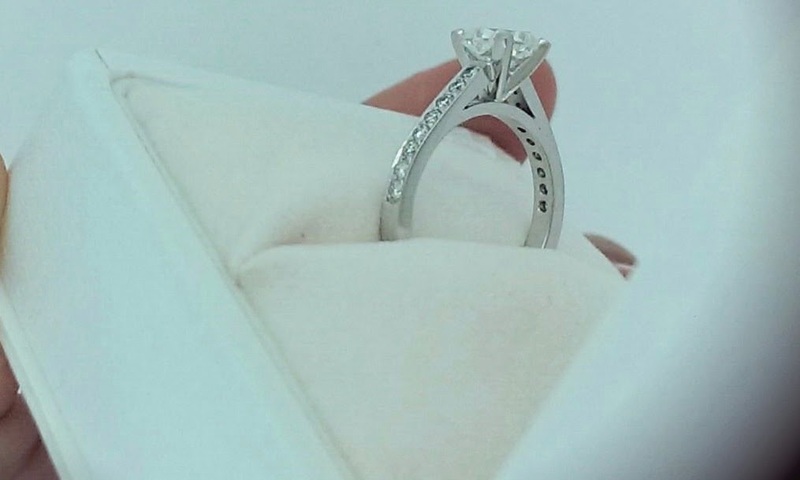 Anthony had paid a visit to fine jewellery designer Cassandra Mamone well in advance of this special today, to discuss the design and make of the perfect engagement ring for his fashionista girlfriend Gabriella. Over the years Anthony had gained essential insight into Gabriella's likes and dislikes and knew that when it came to fashion, the always on-trend Gabriella was more of a minimalist. 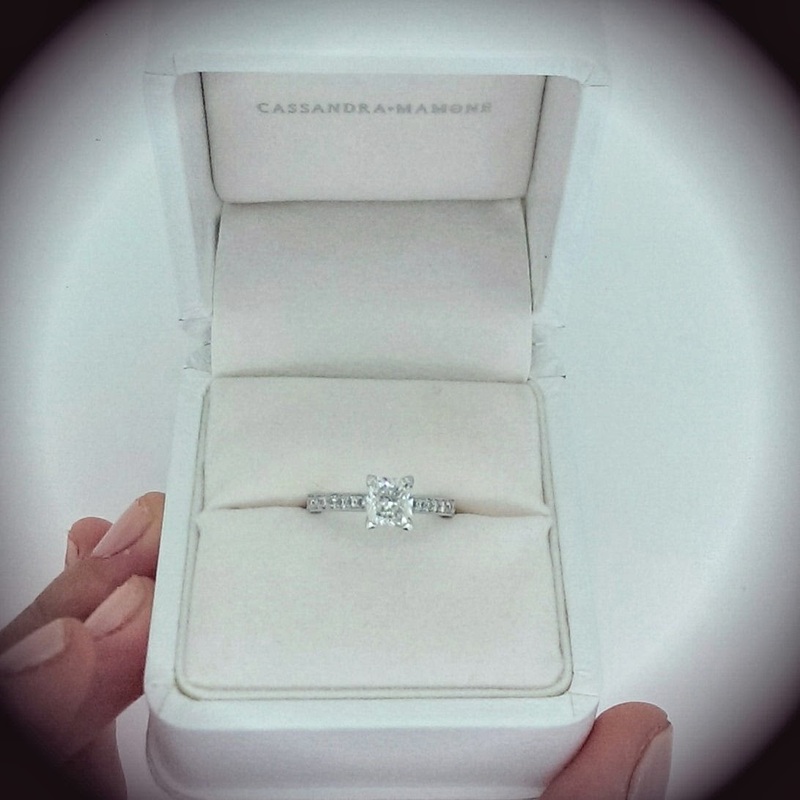 Cassandra Mamone with the help of Anthony’s keen eye for detail designed a cushion diamond set in 4 unique triangular shaped claws, with pave` set brilliant diamonds on the shoulders. The depth of the the 1 carat cushion is shown off when viewed on it's front profile as the setting was designed with straight elegant lines. 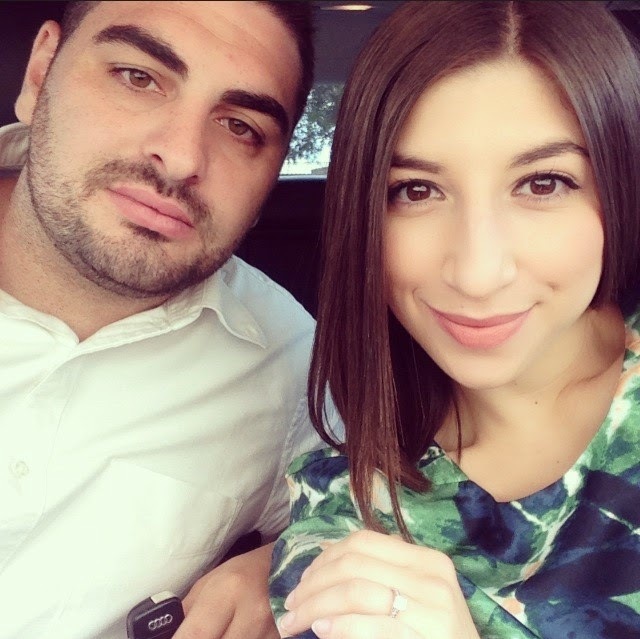 The scene was set at a beautiful pond in Mclaren Vale, as Gabriella gazed at the elegant geese gracing the pond's fountain, she turned to find Anthony on one knee with a white box opened and a sparkling ring inside. "Will you make me the happiest man alive, Gabriella will you marry me?" The newly engaged couple then enjoyed an amazing lunch at Vasarelli Cellar Door Restaurant, where they phoned their family and friends to give them the great news. “We couldn't keep the smiles off our faces!” Gabriella recalls. 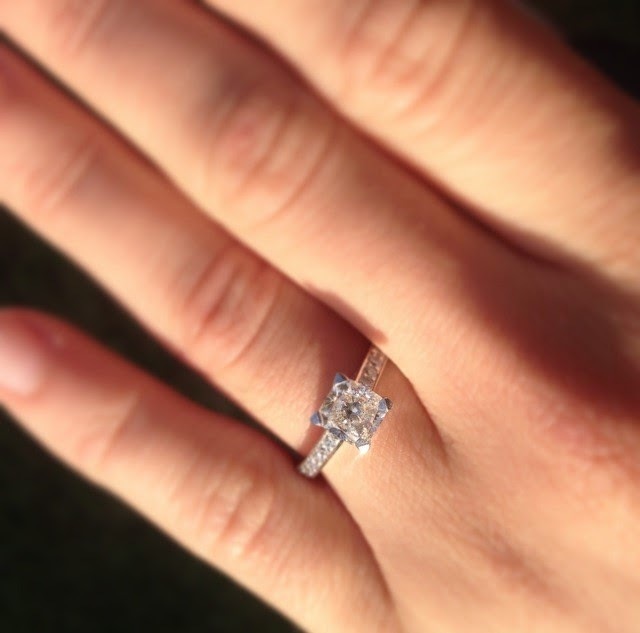 “Once Anthony put the ring on my finger I couldn't stop staring, and still can't! It was exactly what I wanted, and was a perfect fit! 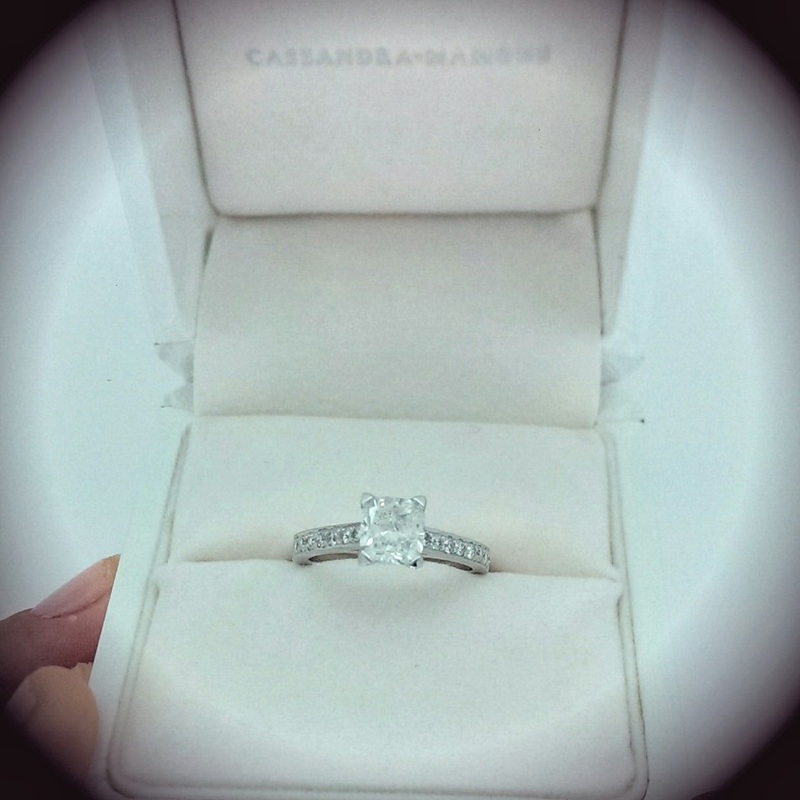 It sparkled perfectly in the sun light". What a romantic, eventful day! Very useful information about engagement ring and very appealing look. Thanks a lot for sharing this.